As our population begins to age and we live longer we are beginning to recognise a growing cost from falls. By falls we are not talking about falling off buildings or over cliffs, but loss of balance situations during simple acts such as walking or climbing stairs. In our earlier years, such falls generally mean a bruise or two; if we are very unlucky we might break a bone. In our later years, such falls are fraught with more serious danger, often resulting in hip replacements or loss of independence. 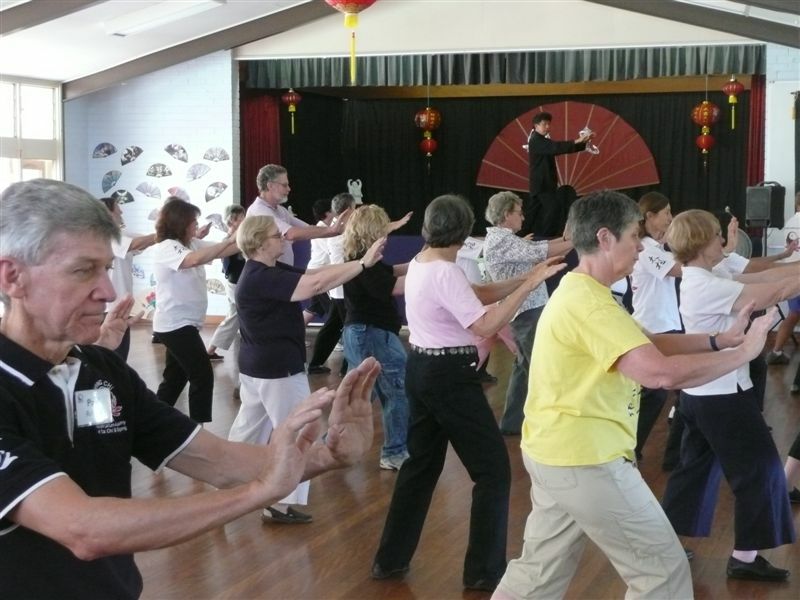 Tai Chi based balance and stability programs have, through medical research, proven to be a particularly effective falls intervention. 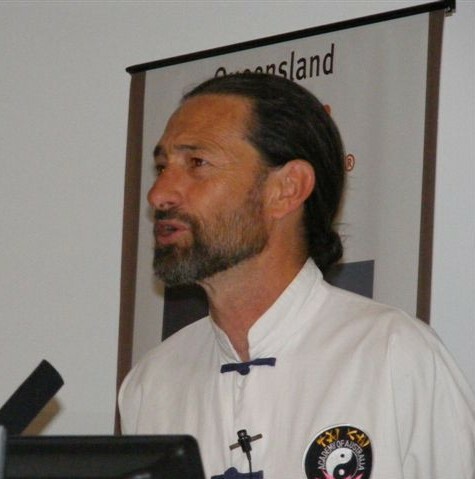 It is for this reason The Australian Academy of Tai Chi & Qigong has developed an Applied Tai Chi Program that addresses specific aspects of balance and stability. Specific focus on the key aspects below; and the teaching methodology being employed, makes these programs a very effective tool in balance and stability training. Proper functioning of internal abdominal muscles and neutral alignment of the spine when performing tasks is a key component to good balance. AATC’S training methodology allows the ‘Local’ Core Stabilising Muscles to be activated through a combination of exercises and the use of Dynamic Relaxation techniques. 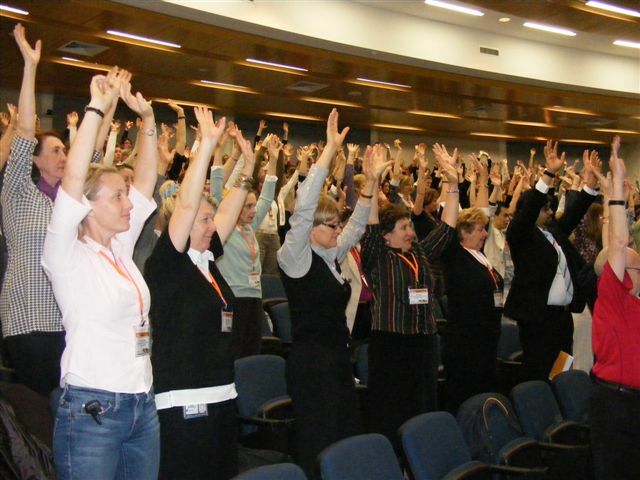 Rather than just postural alignment when static, AATC programs relate to energies pertaining to posture during movement. Eg: energy passing through the knee evenly; the order of muscles firing and control of the pelvic area. Excessive postural tension, kinaesthetic awareness and general motor-skill patterns are all addressed in this system of training. Abdominal breathing works directly with the autonomic nervous system and plays a key role in dynamic relaxation. The breathing techniques trigger the relaxation response within the nervous system. The lung diaphragm is activated, and with more training, the pelvic floor is also focused on. 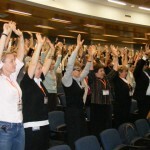 As one relaxes through abdominal breathing techniques the centre of gravity is restored to the lower abdomen instead of being incorrectly held higher in the body. Dynamic relaxation combined with physical training techniques alleviates the fear factor. The fear of falling is a major issue when dealing with high risk of falls groups. 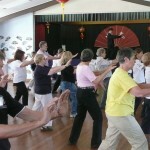 The biomechanical techniques being employed in tai chi training build muscular strength and physical stamina. 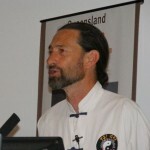 Base of balance and state of mind are also issues that are addressed in this comprehensive program.